Rare and out of print fantastic and profusely illustrated book, 365 pages. A Fascinating book of essays by a host of international experts which was published to coincide with the eagerly awaited exhibition Summer of Love: Art of the Psychedelic Era at Tate Liverpool and will complement the illustrated catalogue of the exhibitions (Tate Publishing). While the exhibition catalogue provides a general and richly illustrated introduction to the theme, this book provides a range of academic texts by some of the leading scholars of the period. Background and contextual essays investigate in-depth the art, history and culture of psychedelia, providing a rich and varied interpretation of the 1960s and its long-lasting legacy. Psychedelic art and culture is presented as an international creative phenomenon that made an essential, unjustly neglected contribution to the art and culture of one of the most turbulent periods in 20th-century history. While highlighting the expansive nature of psychedelic art, related aspects such as counterculture, student revolution, sexual liberation, drugs, literature and poetry, music, fashion, comics, typography are also investigated. This collection of essays will be an invaluable addition to the growing body of literature on the 1960s, highlighting a particular significant and exciting aspect of the period. It will be of interest to the general reader as well as students and scholars of the art and culture of the 1960s. Though more than a generation has passed since the revolutionary fervor of the Summer of Love of 1967, the 1960s in many ways seem with us still. From recurring debates over the war in Vietnam to the perpetually appealing music of the Beatles and the Rolling Stone to the concern about youth drug use, the legacy of the 1960s is ubiquitous in contemporary life. The Summer of Love brings together an impressive group of historians, artists, and cultural critics to present a rich and varied interpretation of this seminal decade and its continuing influence on politics, society, and culture. The Summer of Lovewhich will accompany the eagerly awaited exhibition at Tate Liverpool pays particular attention to the wildly creative psychedelic art of the era. Perceptive essays on psychedelic comics, graphic design and typography, light shows, and film successfully rescue psychedelic art from the fog of nostalgia and unjust critical neglect. Distinguished contributors also explore the role of 1960s fashion and architecture, and they consider anew the central influence of hallucinogenic drugs on the art of the era. Running throughout the essays are the elements of epochal change from sexual liberation to student revolutions that still form the backdrop of our collective consciousness of the 1960s. 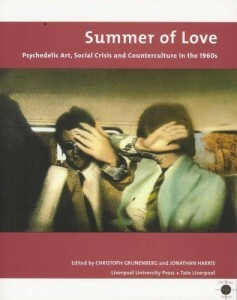 An incisive collection of writings on all aspects of 1960s art and culture, tempered by time and critical distance, The Summer of Love Reader will be indispensable for those who wish they had been there or for those who were, but can’t remember it.